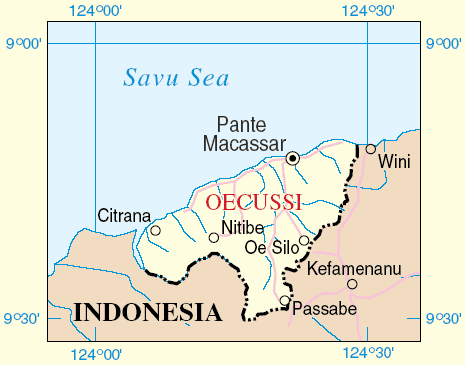 Situation in Passabe remains calm and under control Radio Televizaun de Timor-Leste August 3, 2012 - Minister for Foreign affairs Zacarias Albano da Costa said the situation in Passabe [on the Oe-cusse border] remained calm and the security was under control. Mr. Da Costa made the comments after holding a farewell ceremony with all accredited ambassadors to Timor-Leste. 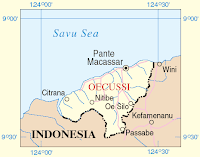 He added the problem in Passabe happened because the residents in the referred area tried to construct a customs office building there but that was protested by some Indonesians who were living nearby the border. The situation was under control of the two countries' security forces, he said. "We should be calm and not create violence. It will be resolved by the leaders of the two countries," da Costa said. Marine police confiscate illegal goods in Thai ship Radio Televizaun de Timor-Leste August 3, 2012 - The Timorese National Police (PNTL) Marine Police Commander Superintendent Lino Saldanha said illegal goods in a Thai ship which was here for tourism purposes had been seized. "It breaches our existing law in the country because the law bans people from bringing illegal goods into the country," he said. He added that Timor-Leste had port and all ships should stop at the port for a travel document search and these people should be taken to the National Investigation to be investigated. Individual of police officers back illegal gambling Timor Post, August 3, 2012 - An unnamed source said illegal gambling such as 'slop machine', rolling ball and others were still going in the country as some police officers supported them. The source stated that certain police officers were bribed by the owners of the illelal gambling places. The Ministry of Tourism, Commerce and Industry (MTCI) is making efforts to capture these people but they could not be captured as some police officers supported them. Eighty two domestic violence victims stay in Fokupers Suara Timor Lorosa'e August 3, 2012 - The Director of FOKUPERS [women's organisation] Maria Bareto said in 2012 the total women who became victims of domestic violence totalled 82 and all were still staying in FOKUPERS' safe house. Ms. Bareto said the 82 victims were still staying as they were not yet ready to return to their homes. "Based on the policies of Fokupers, the victims should only stay one week or one month but the reality shows that some victims have been staying here for more than two years," she said. She added most of the victims were from Dili District and were still waiting legal proceedings. Maritime Polic arrest Burmese and Indonesian nasionals in Atabae - Diario Nacional August 3, 2012 - Maritime Police Unit (UPM) Commander Superintendent Lino Saldanha said UPM had arrested four Burmese and four Indonesians in Atabae, Bobonaro District on an illegal ship in the area of the Timor Sea. "Recently UPM captured the illegal ship in the area of Atabae. There were four Burmese and four Indonesians on the ship," he said. He added they were currently waiting for the process of investigation into the case in Maliana, before taken then to the national investigation service.